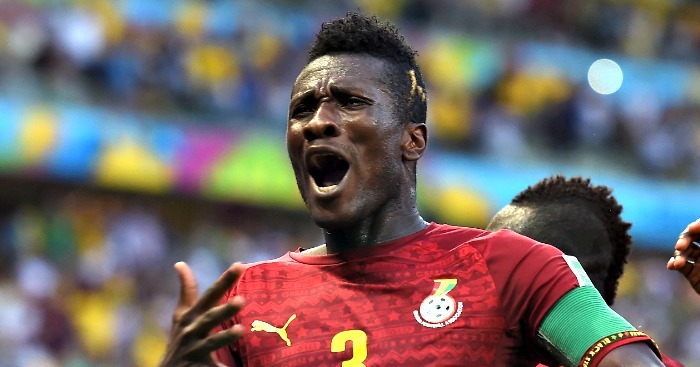 Skipper of Ghana’s Black Stars Asamoah Gyan remains optimistic that his side will still qualify for the 2018 World Cup in Russia despite sharing the spoils with the Cranes of Uganda on Friday. The Black Stars were held to a goalless draw game with the Cranes in the opening group fixture of the qualifiers at the Tamale Sports Stadium three days ago but the Al Ahli striker insists Ghana will make it to the mundial. “We still have five matches to play. The good thing is that we didn’t lose to Uganda, and will have to win all our remaining matches to qualify which is possible. “There is hope of qualifying to the World Cup. So, Ghanaians must not be disturbed. We have a great chance of qualifying. “Uganda were disciplined and defended well, and kudos to them, but that is a good wake-up call,” he added. Ghana are in a tough group with seven times Africa Cup winners Egypt, and 1972 Africa champions, Congo.